This page has videos explaining trip to the city of Tours, France from July 15, to August 15, 2016. Each video on the page is an example of strategy. There are many strategies we can use for visiting different locations, when we leave home, and travel to another city, location, or country, a good strategy makes it enjoyable, a bad strategy makes it work. The art form of enjoyable travels is to keep it simple, to prioritize, and to not be greedy, the belief that we must work, make work, do as much as possible each day, this make a vacation into a job. Here is the list of strategies used for this trip to the city of Tours, France. 1. To rent the home, or apartment from a friend, while this person travels to another location. 2. Round trip plane ticket. - This locks in the costs, we can budget, we know when we start, and when we end a trip. As for me, I seldom buy round-trip plane tickets, I stay until I am tired of taking photos, ran out of things to do. 3. One visit, or one goal of tourism per day. - Everyone is different, but I highly recommend that you leave your lodging, and return to the lodging in no more than four hours, but two or one is better. - What we accidentally discover is often 10 times more interesting than what we planned, we need to allow time, and travel methods that avail this to happen. 5. Seldom take the same path home. - To increase the chances of serendipty. - To have a hub, and make day trips out from center of hub, your trip will look like a wagon wheel when done. 7. 30 Day subway, tram pass, bus pass, or whatever type of public transportation is available for city. 8. 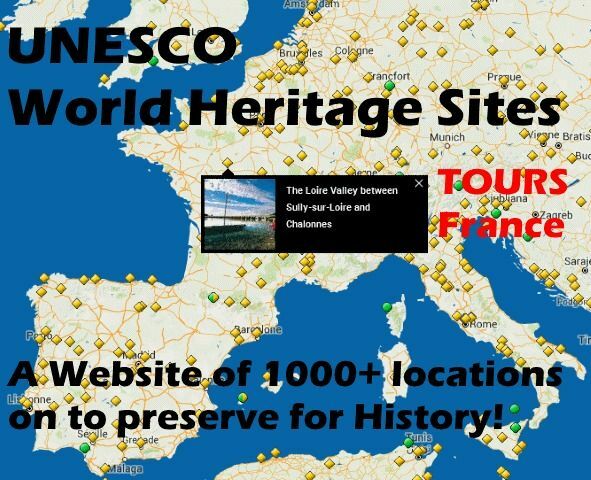 Visit the list of locations on the "World Heritage List." 9. Decide on the amount of tourist activities per day, and never feel guilty when skipping, but do feel guilt when spending over the amount of time. 1. Ask continually, is this special, or made for tourism, could I do this anywhere on the planet? 2. Does this fit into my budget, both money, and time? 3. Is it a tourist attraction, or is it just a temptation to do something fun? 4. Will this activity take up too much time? For example, often people spend 6-8 hours in eating at sit-down restaurants, this is 50 percent of their day. 4. Remember the Prime Directive of Travel, "To Enjoy Yourself." To become a better person, to know more, to understand more is not the goal, the goal is to enjoy your trip, this is priority one. 6. Stop at wall plaques, or boards of information. 2. 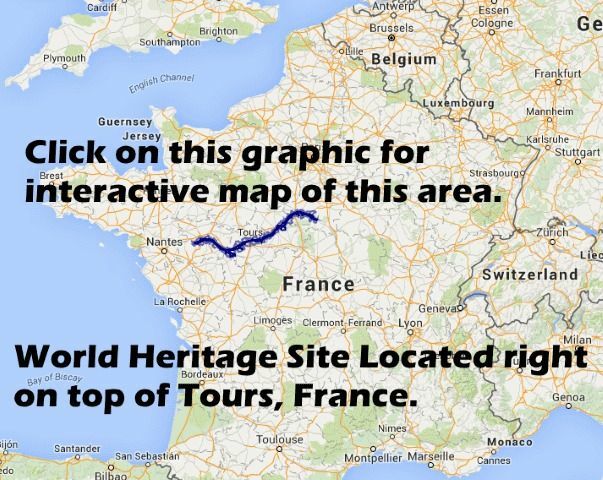 Wikipedia page https://en.wikipedia.org/wiki/Tours Then "Right Click" on many of the links on the page. 3. Google Map of Tourist Destination. 4. Paper Map from Hostel, Hotel or Tourist Information, find a paper map. 5. Language preparations. Download app for phone or buy a paper language dictionary the paper one is better, will always work, and you can hand to people to use. 1. Walk North, East, South West, taking great care to be able return. Please have all the contact information, or business card of hotel. Walking straight away makes this easier. 3. Tourist Information office of the city. 4. Study the local paper tourist map for an hour, two hours, the more you study, the more that will be revealed. Truly a good Hotel, or Hostel will have one, to not have one is a signal of how much they care. 5. Find a local tourist publication, a magazine showing all the advertisements for tourism. 6. Meet people, collect email addresses, phone numbers, and call them. Brainstorm - My Wish List, My Bucket List, My Personal List of Maybe I do? DAY 1 - WALK -- Who cares where? "Reconnoitre"
NOTE - I screwed up, this phrase means "Town Hall," I am learning French, so making mistakes is needed. DAY 2 - Made a trip to the Chateau de Tours, one of the only castles in the city of Tours, France. Stop to look at statues. I try to stop and look, and read the information signs on statues, and also the steal lids, they often spell the name of city correct. Helps avoid the temptation to read sneaky, and clever advertisements determined to tempt you to spend money. - Serendipity walk to the tourist information -- The big fun. 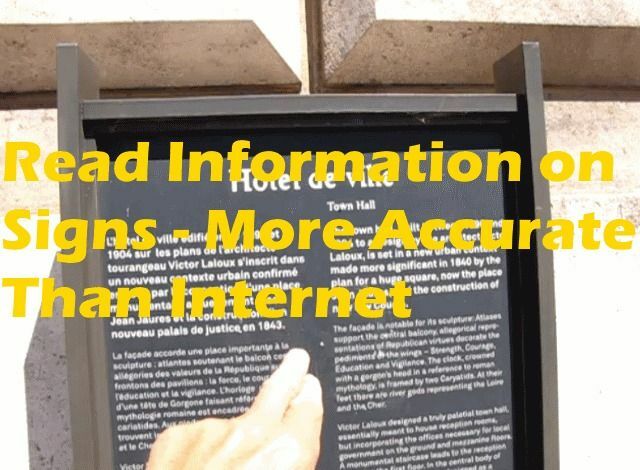 DAY 4 - July 19, 2016, I devoted the day to understanding the World Heritage list, and will make a serendipitous walk into the "Old Town of Tours." This is the page that is related to Tours, France. Please do not expect to find something for every location on the planet. This is a prioritized site of only the top 1000 plus locations. 5. Valdeloire.org Here is the World Heritage Website special for the city of Tours, France. Interactive Map of Loire Valley, a very good map. - Plans, maybe the Bagel shop is my regular place to sit, and drink coffee. - Plan to walk around the old Quartier, the oldest neighborhood, and explore, and serendipity search for something. - While looking for hardware, with serendipity found a great open air market. 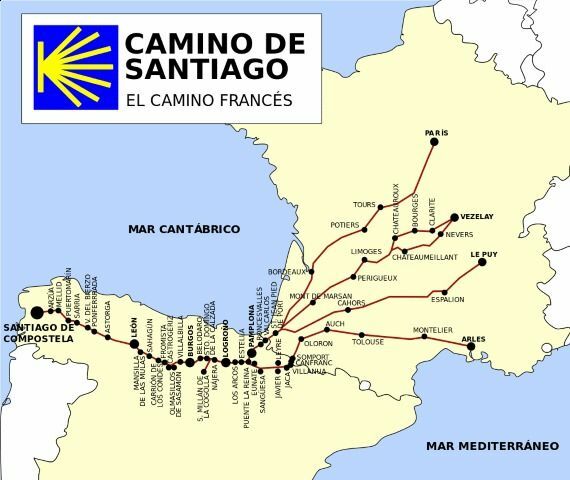 There is a path between Tours, and somewhere South, I would like to walk the distance, and see how the Hostels, or Hotels are, I need to return to the Tourist Information to get brochures. This could be a money pit, easy to drop a lot of money on lodging in France, it is a tourist trap mentality, say thank you, Merci, for paying for bad global values. What was this city, what was Tours, France like 1000 years ago? Become a time traveler, imagination. - I have become a regular at two coffee shops, super market, and bread shop. - I will meet Jeff this afternoon at his restaurant, to arrange a video of him explaining French foods. - Rain is on the horizon, I need to buy a new umbrella. - Go to World Heritage Tours office, it is close to my apartment. My Regulars - Bagelstein Coffee and Carrefour Super Market, etc. Basilica of St Martin - I sat in front of the church, and used my T8 Tablet, accessed the Internet, and read, and read, and look, and understood. Went to the World Heritage site, especially designated for Tours, France. When you got nothing to lose, and everything to gain, do it. I am trying to decide with winery to visit, and which castle, there is not that much to do in Tours, France.